When you are in Rome and need to get around town fast, you learn to do as the Romans do – you buy a bus pass. I was a nervous wreck when I first started riding the buses in Rome; I never rode buses or the mass transit at home. I went to the nearest tabbachi (tobacco shop) and purchased my 7-day bigliettio (ticket) to ride. Surprisingly enough, I picked up on the routes fairly quickly. My favorite activity was to take the bus to either the southern or northern most part of Rome and walk my way back to my hotel. Even with this form of sightseeing, I still managed to walk a minimum of five miles a day. One of the side trips from Rome I had planned was to venture south into the Campania region to Naples, or Napoli as the Italians called it. 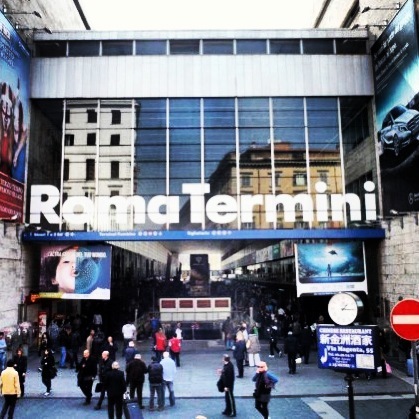 I got up early that day, hopped a bus to the Termini eager to get my first taste of European transportation on the Trenitalia. You have to be on guard because pickpockets and crime is rampant near and inside the Termini Station. Ticketing is easy with the automated machines; within minutes I had my tickets to and from Napoli’s Centrale Statzione. I had a few shady characters come over, offering to assist me, but they were easily taken care of with the usual, “no grazie.” I had become a pro at basic Italian phrases in such a short time. The bullet trains were quite impressive from the outside in. If you ever travel by train in Italy, I suggest spending the little extra to ride the fast trains at first class; what would normally take to drive one way was usually your round trip time. The scenery was gorgeous on the way to Napoli; I took the travel time to refresh my memory of my itinerary for the crowded and historic city. To familiarize myself with Napoli, I purchased one of the circling city tour bus passes before leaving the states. For under €20, I had a hop on and off bus pass that was good for 24 hours. When I arrived in Napoli, I noticed right away that this city was nothing like my first love, Rome; this city had a seedy and dirty feel to it. Napoli was also rumored to be the home of the Mafia; I was forewarned by Giancarlo to keep my wits about me. I really wished I had brought him with me; I’m not the kind of woman that feels I need the protection of a man, but standing in this unsavory part of town, I wanted a man with me. I hurriedly made my way to the bus stop and once I arrived there, it started to rain – perfect time for boarding. There was an ongoing strike with the trash workers in Naopli; there was open trash in the streets, making the city look even more run down and filthy. 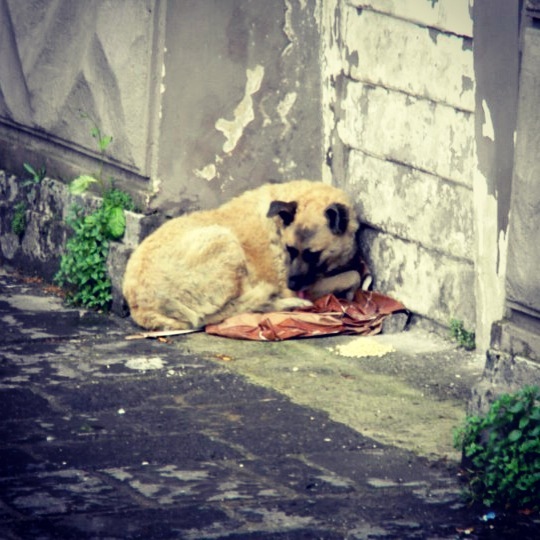 As the bus took me throughout the city, I saw a sad dog along one of the sidewalks, huddled up against a wall trying to get comfortable. I wanted to jump out of the bus and take the dog home with me. As my bus sat there in traffic, my gaze kept going back over to the dog; perhaps he was holding down the fort until his homeless master returned with food and drink for them both. I let my mind settle with that conclusion as the bus took off away from the dog. After the rain stopped, I decided it was time to go by foot and explore the city. I found a somewhat safe place to collect myself and opened my map to find my next destination. As I decided where I would go, I was greeted by a handsome Neapolitan man; unlike Giancarlo, this man looked like the typical Italian gigolo you would see in the movies or on TV. Flattery – no. A hilarious story to tell – definitely!